Latrobe bids to become the first horse since the Michael Hurley-trained Zarathustra in 1954 to win the Irish Derby and the Irish St Leger in the same year on the second day of Longines Irish Champions Weekend at the Curragh on Sunday. Joseph O'Brien’s charge is one of six horses declared for the Comer Group International Irish St Leger. O’Brien won the race as a jockey on the recently retired Order Of St George in 2015 for his father Aidan who will run early favourite Flag Of Honour, Idaho and Cyprus Creek in his bid for a fifth win in the race. John Gosden is a two-time winner of the Irish St Leger and will be represented by Ebor runner-up Weekender while Twilight Payment will bid to give Jim Bolger his first success in the final Classic of the season. For the first time, there are four Group 1 races on the second day of Longines Irish Champions Weekend at the Curragh. The Derrinstown Stud Flying Five Stakes makes its debut as a Group 1 for the first time and has attracted a field of nine including Havana Grey for trainer Karl Burke and the David Griffiths-trained Take Cover. Once again, Aidan O'Brien is triple-handed with Sioux Nation, Battle Of Jericho and Different League while Darren Bunyan runs Hit The Bid. A terrific renewal of the Group 1 Moyglare Stud Stakes is on the cards with the Charlie Appleby-trained Group 2 winner Beyond Reason and Mark Johnston’s Main Edition, a winner at both Royal Ascot and the July Newmarket meeting providing the main opposition for the more locally-trained Skitter Scatter for Patrick Prendergast and owners Sonia and Anthony Rogers. The Group 1 Goffs Vincent O’Brien National Stakes has attracted a strong field of seven runners headed by the Charlie Appleby-trained Quorto and Anthony Van Dyck, winner of the Group 2 Galileo Irish EBF Futurity Stakes at the Curragh, for Ballydoyle. There are nine in the Group 2 Moyglare “Jewels” Blandford Stakes where Eziyra will be fancied for Dermot Weld with Jessica Harrington set to be represented by Beautiful Morning, successful in the Group 3 Manguard Plus Royal Whip Stakes at the Curragh last month and the more recent Group 3 Snow Fairy Fillies Stakes winner, I’m So Fancy. The opening Irish Stallion Farms EBF 'Bold Lad' Sprint Handicap boasts a field of 27 runners including the Johnny Murtagh-trained Urban Beat and David O’Meara’s Summerghand while 20 runners will line up for the Irish Stallion Farms EBF 'Northfields' Handicap with the Harrington-trained Still Standing and the David Menuisier-trained Danceteria out to add to recent successes. A strong cross-channel raiding party led by the unbeaten Flashcard for Andrew Balding and the Clive Cox-trained Getchagetchagetcha feature among the 20 runners for the Tattersalls Ireland Super Auction Stakes. 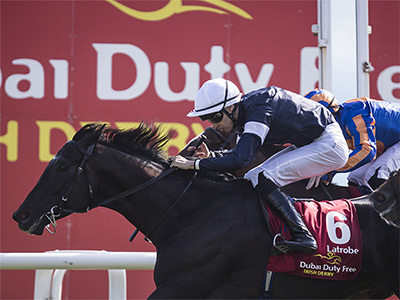 Derek McGrath, CEO of the Curragh Racecourse, said: "The quality of entries on Sunday certainly confirms the champion status of the day with high quality runners from start to finish on an unprecedented racecard of four Group 1s. This historic race day is certainly a fitting finale to our 2018 season as Longines Irish Champions Weekend goes from strength to strength."